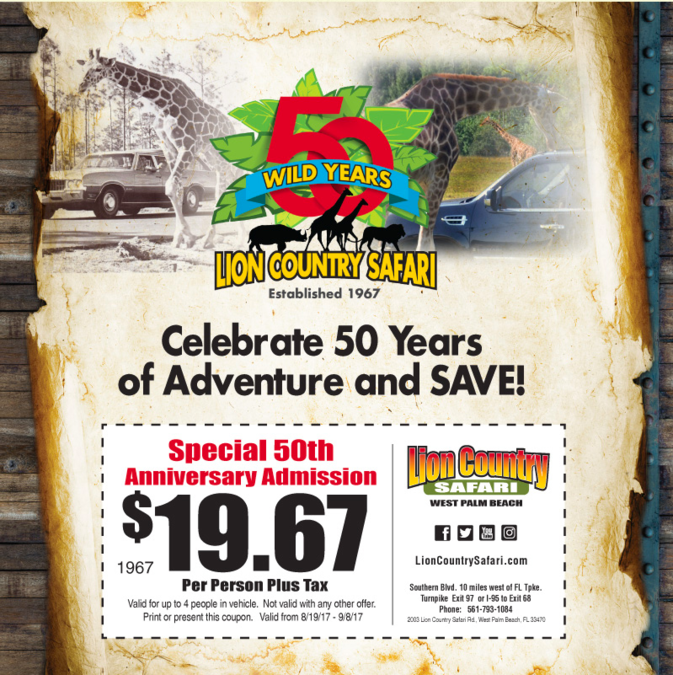 Lion Country Safari opened 50 years ago in 1967. To celebrate the outdoor zoo will be charging admission for the same price as the year they opened (so 1967 = $19.67). All you need to do is print off this coupon and it will cover up to four people in your vehicle. Normal admission to the park is $35 for adults and $26 for children.